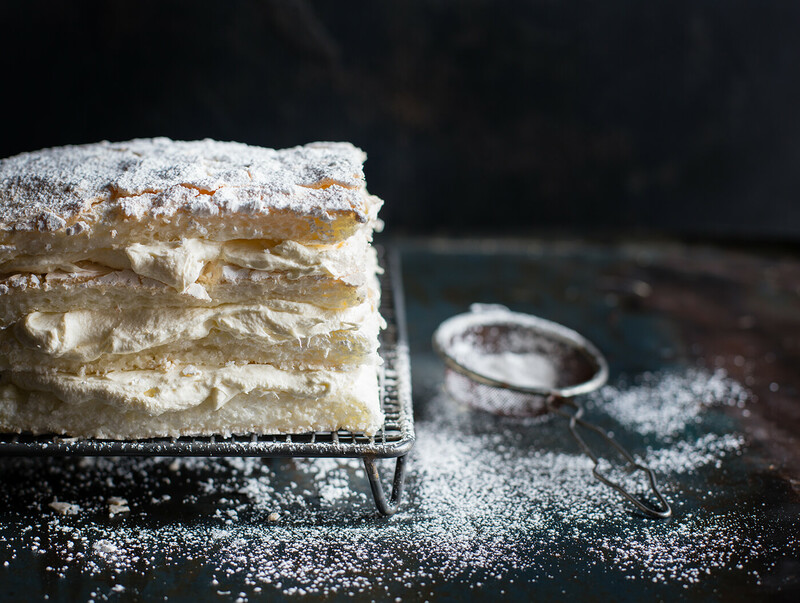 Coconut and Meringue is a match made in heaven, light fluffy clouds that instantly melt in your mouth. Try it today – you won’t be disappointed! Preheat oven to 160°C (140 degrees fan-forced). Grease and line two 25 x 35cm rectangle cake tins. 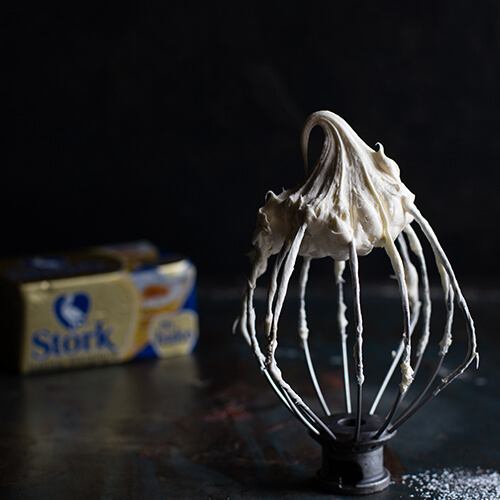 Place half of the egg whites in the bowl of an electric mixer and beat until soft peaks form. Add half the sugar gradually and beat until completely dissolved – about 6 minutes. Whisk in half the cornflour and half the vinegar. Fold in to the coconut. Spoon into one of the cake tins and bake for 20-30 minutes or until the top is dry but the center is still marshmallowy. Remove from the oven and allow to cool slightly before turning out. Dust with icing sugar Repeat the recipe with the remaining ingredients so you have 2 large rectangles. 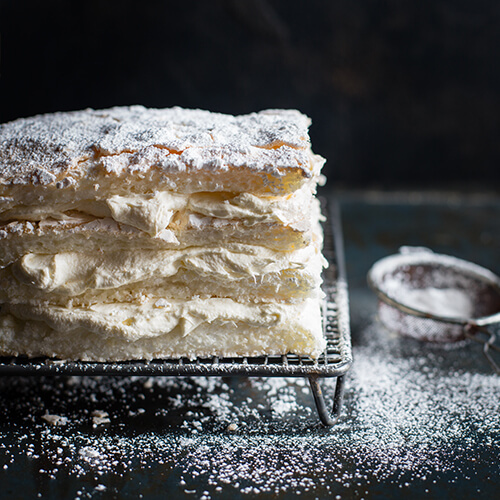 Trim the edges of the rectangles and slice each in half lengthways to form 4 long meringues. 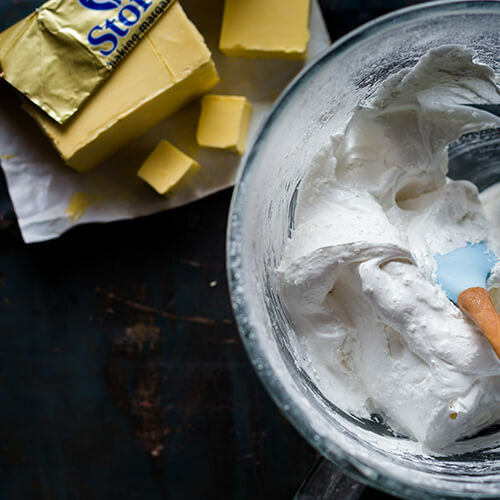 Make the cream; beat the Stork Bake in an electric mixer with the icing sugar until very white and fluffy – about 10 minutes. Add the coconut flavouring and coconut milk. Assemble the cake by layering the meringue layers with the coconut cream, leaving enough to cover the top and sides. Sprinkle with the coconut and serve immediately. Your SMS has been sent successfully.